The feet are one of the most mistreated parts of the body. Other than cutting our toenails, no one really thinks about foot care despite the fact that we use our feet all the time. Foot calluses might seem like minor, negligible problems but they can be painful if severe or left untreated for too long. Aside from that, they look unpleasant and can be a turn-off no matter how beautiful or handsome we look. The best way to deal with foot calluses is to remove them. The Icing on the Cake – Revealed! The Emjoi Micro-Pedi Nano Callus Remover does a wonderful job of removing calluses and it’s portable, perfect for people constantly on the go. Its compact design makes it easy to carry. It also looks quite attractive; you might forget what it’s really for. This electric model uses rechargeable batteries and rubs off dead skin with a metal scraper. Be sure to use a light hand though when using it as the roller will stop if pressed too hard. This also works to your advantage and you don’t accidentally hurt yourself. This handy device is dual-purpose. Working as both a callus remover and a shaver, the Naturalico Rechargeable Electronic Pedicure Foot File and Callus Remover, gives you foot exfoliation at its best. It uses rechargeable batteries to drive its powerful motor. Even with more pressure, this callus remover continues to work. It works quickly and easily and it even has a LED light to make the areas you’re cleaning more visible. Also, this product is highly durable and its parts are washable. Designed for maximum cleaning, the PediSoft Electric Callus Remover is more powerful than other models. It has rechargeable batteries but it can also be plugged in to increase power. The micro-abrasive particles on the roller make cleaning and removing calluses easy and you’ll only need a few minutes to finish cleaning both feet. This device is also tough and durable, though not very portable. On top of that, the parts are easy to clean and water-resistant so washing them is not a problem. Another Emjoi product, Emjoi Micro-Pedi POWER – Callus Remover is a more powerful model, but not really a good option for travelers. It needs to be plugged in to work, and it quickly and easily scours dead skin off the feet. The roller is soft so that even with more pressure, cleaning is gentle and pain-free. The device has a very attractive design but is also quite durable. It might also interest you to know that this device is accepted by the American Podiatric Medical Association. The Sof’Feet Callus Reducer is styled after the more traditional callus removers and you’ll probably want to get this if you’re used to those. It’s one of the best at scraping off calluses. 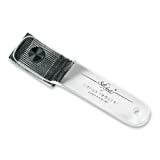 This tool is very handy as the scraper’s metal screens can also be replaced. The makers of this tool suggest daily use for regularly clean and soft skin. The best part about this callus remover is that it’s among the cheapest you can find. Exercise great care when using this, though, as excessive pressure can cause wounds. A popular favorite among customers, the Amopé Pedi Perfect Electronic Pedicure Foot File is terrific at getting rid of calluses in a short time. The device is powered by batteries and easy to use. With the ability of the roller head to spin 360 degrees plus the use of micro-abrasive particles, the rollers are noticeably quick and efficient in cleaning and exfoliating. The roller heads can also be replaced once they’ve worn out. It’s safe to use as well, even with greater pressure. One of the great things about the Nature Tech Pedi Electronic Pedicure Foot File Callus Remover is that you can use it both for wet and dry feet. Calluses and dead skin are scoured with ease painlessly. Its effectiveness has been proven and it can even be used for professional pedicures. It’s easy to use and designed for comfortable handling. It runs on rechargeable batteries which saves you on cost in the long term. 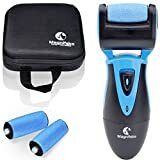 The makers of this device also give bonus gifts with this callus remover, such as a foot repair cream. The Innoo Tech Callus Remover is a premium quality product at an affordable price. You can trust that the device was designed with care, based on the advice of dermatologists and podiatrists. It’s easy to bring when you’re travelling. It’s also powered by rechargeable batteries and as an added plus, the device comes with a charger. 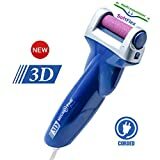 The motor is powerful and works quickly to remove calluses with little time and effort, giving you smoother, softer feet. This is also one of the few callus removers that are water-resistant. Also superb at removing calluses and cleaning feet is the Utilyze Electronic FootFile CR-700B Pedicure Electric Callus Remover. It runs on rechargeable batteries but it is by far one of the most powerful in the market, spinning more than 50 times a second. This device is effective, even treating those harder, tough-to-clean calluses. Despite its powerful motor and coarse roller heads, you don’t have to worry about injuring yourself when using this as the device also passed international safety standards. On top of that, it’s travel-friendly and looks stylish. The Magnifeko Electric Callus Remover is one of the top options for price and ease of use. It’s also safer and gentler compared to most manual types. It uses rechargeable batteries which helps you save on time and eventually helps you save on cost. Whether you have just a few calluses or you have hard-to-remove calluses which need more force, this device can work well for you. You’ll find that it’s sturdy enough to use even with more pressure and it lasts long. Callus removers are very useful to have and most are easy to use. As long as you handle them properly, the risk of hurting yourself is also relatively minor. Whichever product you choose, just remember to keep it hygienic and germ-free. After every use, be sure to clean it well and wash it if you can. Furthermore, keep your feet moisturized after removing calluses with our recommended foot creams!